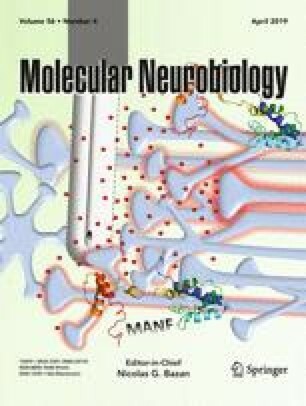 Conventional surfactant proteins (A, B, C, and D) are important players of the innate immunity in the central nervous system and serve as effective regulators of cerebrospinal fluid rheology, probably being involved in clearance of detrimental metabolites like beta-amyloid and phospho-tau. Recently, a novel surfactant protein, SP-G, was described in kidneys and peripheral endocrine and exocrine glands. So far, its presence and possible functions in the central nervous system are unknown. Therefore, our study aimed to elucidate the presence of SP-G in the brain and its concentration in normal and pathologic samples of cerebrospinal fluid in order to gain first insight into its regulation and possible functions. A total of 121 samples of human cerebrospinal fluid (30 controls, 60 hydrocephalus patients, 7 central nervous system infections, and 24 brain hemorrhage patients) and 21 rat brains were included in our study. CSF samples were quantified using a commercially available ELISA system. Results were analyzed statistically using SPSS 22, performing Spearman Rho correlation and ANOVA with Dunnett’s post hoc analysis. Rat brains were investigated via immunofluorescence to determine SP-G presence and colocalization with common markers like aquaporin-4, glial fibrillary acidic protein, platelet endothelial adhesion molecule 1, and neuronal nuclear antigen. SP-G occurs associated with brain vessels, comparable to other conventional SPs, and is present in a set of cortical neurons. SP-G is furthermore actively produced by ependymal and choroid plexus epithelium and secreted into the cerebrospinal fluid. Its concentrations are low in control subjects and patients suffering from aqueductal stenosis, higher in normal pressure hydrocephalus (p < 0.01), and highest in infections of the central nervous system and brain hemorrhage (p < 0.001). Interestingly, SP-G did correlate with total CSF protein in patients with CNS infections and hemorrhage, but not with cell count. Based on the changes in CSF levels of SP-G in hydrocephalus, brain hemorrhage, and CNS infections as well as its abundance at CSF flow-related anatomical structures closely associated with immunological barrier systems, importance for CSF rheology, brain waste clearance, and host defense is assumable. Thus, SP-G is a potential new CSF biomarker, possibly not only reflecting aspects of CNS innate immune responses, but also rheo-dynamically relevant changes of CSF composition, associated with CSF malabsorbtion. However, further studies are warranted to validate our findings and increase insight into the physiological importance of SP-G in the CNS. The authors acknowledge support by the Medical Faculty of the University Leipzig via the clinician scientist program. All named authors contributed by collecting samples, preparing and analyzing samples, and collecting clinical data. ELISA investigations were done by SS and MK. Manuscript was drafted by MK, WH, and SS; final approval and reviewing were provided by all authors. All patients or caregivers gave their written informed consent for the scientific use of CSF samples including the analysis of clinical and radiological information. The present study was approved by the local ethics committee (Ethikkommission Universität Leipzig Az 330-13-18112013). The authors declare no conflict of interest for the presented study.